"Even a man who is pure in heart and says his prayers by night may become a wolf when the wolfbane blooms and the autumn moon is bright." 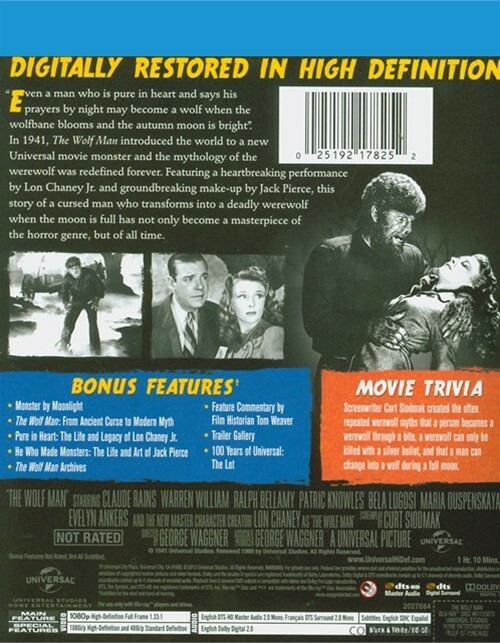 In 1941, The Wolf Man introduced the world to a new Universal movie monster and the mythology of the werewolf was redefined forever. 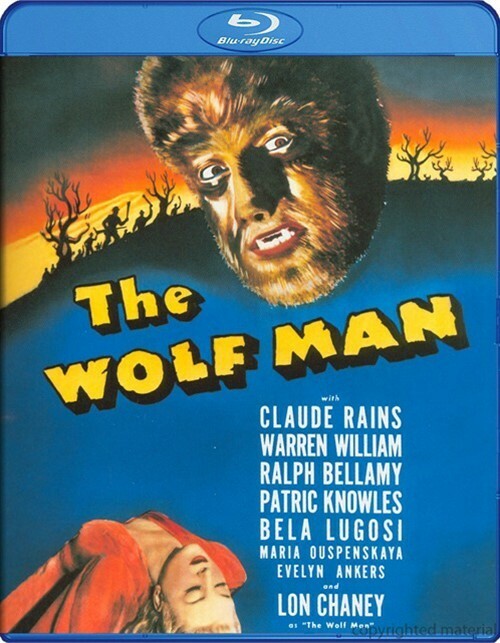 Featuring a heartbreaking performance by Lon Chaney Jr. and groundbreaking make-up by Jack Pierce, this story of a cursed man who transforms into a deadly werewolf when the moon is full has not only become a masterpiece of the horror genre, but of all time. 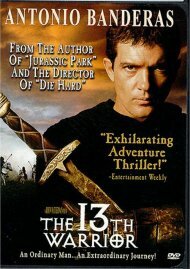 Length 1 hrs. 10 mins. 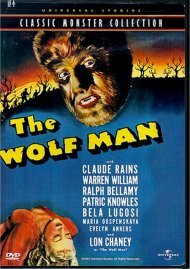 Reviews for "Wolf Man, The"